The South Carolina Alliance to Fix Our Roads (SCFOR) was established in 1981 and is a nonprofit, statewide organization that advocates on the issue of infrastructure. 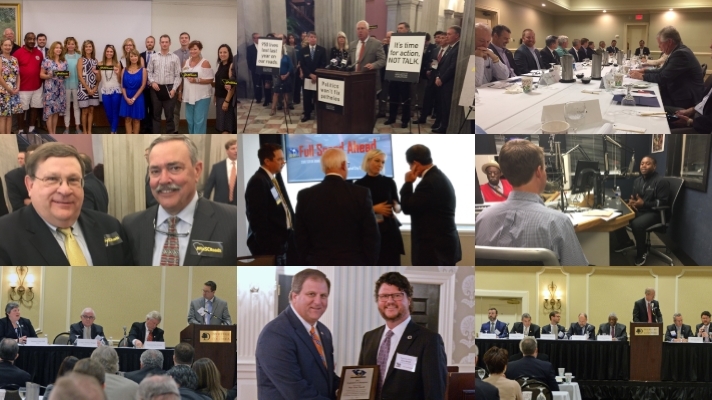 SCFOR is made up of business leaders, associations, and chambers of commerce who believe that a safe and efficient highway system is essential to continuing our state’s economic growth. Over the years, we have consistently advocated for sustainable funding to address South Carolina’s transportation infrastructure needs. SCFOR is governed by a Board of Directors comprised of representatives of various businesses, chambers of commerce, and trade associations. The Board of Directors hosts quarterly meetings each year to discuss issues and provide guidance for the organization. For more information about how your business or organization can get involved with SCFOR, please contact our Executive Director, Jennifer Patterson.